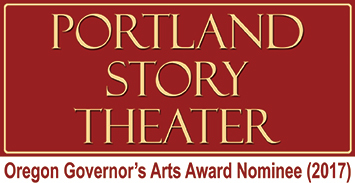 [PORTLAND, OR‒February 25, 2016] ‒This spring, Portland Story Theater is proud to bring Shackleton, The Untold Story to Cascade Locks and Bend, connecting with new audiences and sharing this real, true story with new communities across the state. The Port of Cascade Locks is producing the show on March 26th at The Marine Park Pavilion in Cascade Locks and Solo Speak is producing the show on April 16th at the Cascades Theatre in Bend. For years, Portland audiences have raved about the Armchair Adventure series, created by Lawrence Howard, who according to Oregon ArtsWatch is “one of the city’s most engaging raconteurs.” Howard shares stories of Ernest Shackleton’s daring attempts to cross the Antarctic continent that Dennis Sparks called “storytelling at its best.” This new version of Howard’s best known tale focuses on the little-known and rarely told story of the Ross Sea Party. Gripping. Thrilling. Man against nature. 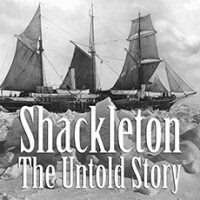 Acclaimed storyteller and polar historian Lawrence Howard has often told the true tale of suffering, courage, determination and fortitude experienced by Shackleton and his men. In Shackleton, The Untold Story, Howard explores a new piece to this story – the Ross Sea Party’s daring efforts to prepare the way for the Shackleton expedition. This is a story that speaks to something very deep within the human psyche. It’s about finding vast reserves of strength we didn’t know we had within us. It’s about the way human beings respond to hardship and adversity. It’s about the indomitable power of the human spirit.